This is such a great post, Shawna. I love reading examples of that all important page turn. I’ve already ordered several of these books from the library. Thanks. And I just need to find your funny Brunhilda book. Looks like my kind of story. Oooh! So many great books to look to for inspiration. Thanks for a great post. Thanks for this post and the great examples! I’m looking forward to exploring the ones I haven’t yet read. 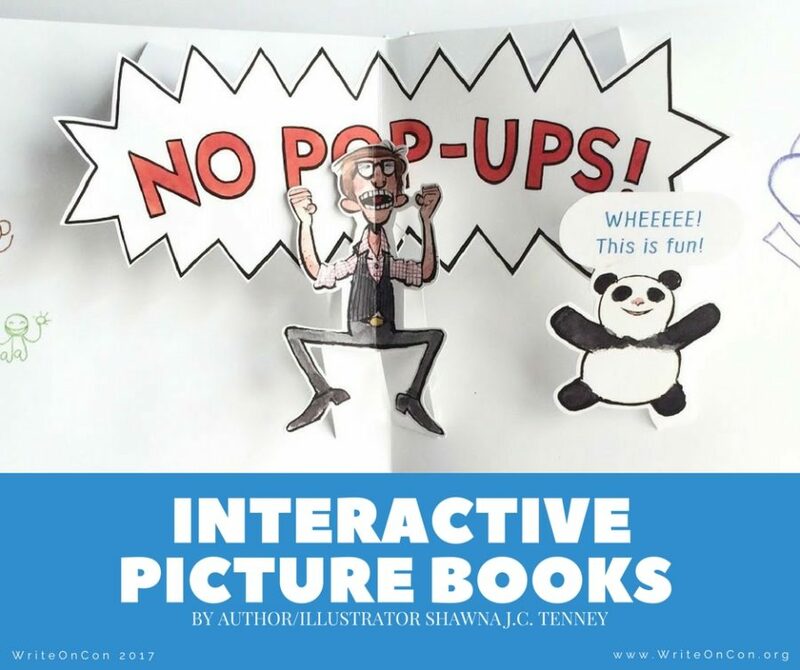 Picture books rock! I love how you expanded on the idea of what’s considered interactive! Pop ups not required! Thank you for the ideas and examples. I love all your examples. Really cool to think about!